Sorry for the posting-hiatus, I have been feeling a bit under the weather over the past week. I went to KFC and tackled their infamous “Double Down” sandwich over the weekend. Keep an eye out for a full review soon. Until then, I wanted to touch on a topic that many people have been asking about. Which is the best main-stream light beer? But before I get to that, I would like to profile those who drink beer and relate that to how I see myself. There are two major types of beer drinkers – the casual and the connoisseur. The casual drinker usually goes for cheap, drinkable light beer. He or she will most likely be drinking beer out of a can or a frosted mug. Casual drinkers range from college students who buy cases of cheap beer for parties to people who just like a Bud Light with wings. The beer connoisseur prefers more complex, full bodied beer, and often avoids cheap light beer at all costs. This is the person who goes on brewery tours, understands the difference between barley and hops, and may even be able to recommend a good cheese to go with a certain beer. The beer connoisseur often looks down on the casual drinker, while the casual drinker doesn’t mind much. Of these two viewpoints, I put myself somewhere in the middle. I usually prefer a light beer with dinner – something easy to drink that quenches the thirst without filling you up or interfering with the taste of the meal. At the same time, I also enjoy a heavier, hoppy beer during the afternoon or evening – usually by itself or with pretzels. I have been on brewery tours, and I have bought cases of Miller Light. This split preference is not all that uncommon. I would venture to say, that if the average drinker was rated on a scale from 1 to 10, with 1 being totally casual and 10 being the most experienced connoisseur, most people would rank at about a 3. I would rank myself at a 6-7. Where would you fit on the scale? Remember – it is just a preference, a higher number is not better than a lower one. Post in the comments! Now, because there are thousands and thousands of different beers in the world, a beer comparison from a connoisseur’s perspective would be like reading War and Peace. Therefore, I will discuss my perspective on the top 3 light beers, Bud Light, Miller Lite, and Coors Light, to guide all you casual drinkers out there. 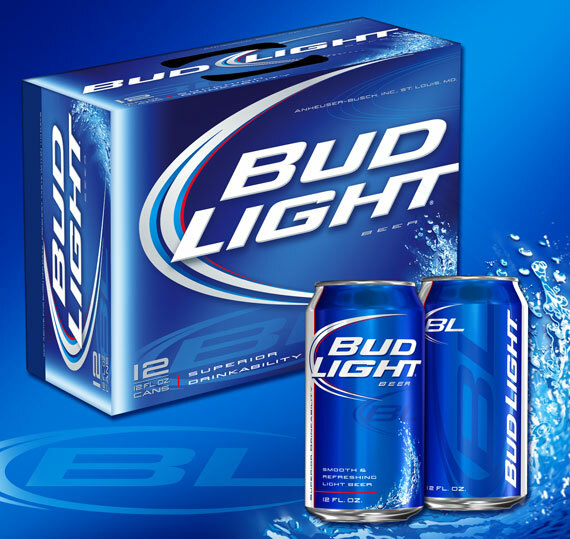 Bud Light is a great mix between flavor and drink-ability, and because of this, it is my favorite of the three. It has more flavor than Coors Light without having the distinct taste of Miller Lite. This beer goes great with wings, burgers, pizza, you name it. Keep an eye out for Bud Light in aluminum bottles at sporting events – those are a real treat. Bud Light also comes in a “Select” 55-calorie variety, but then it starts treading dangerously close to flavorless-Coors Light territory. “The Silver Bullet” – “The taste of the Rockies”. 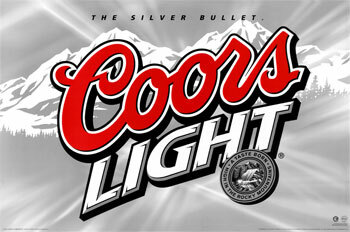 Well silver bullets are meant to kill werewolves and I don’t imagine that the Rocky Mountains taste that great. Coors Light is the most watery of the three, and has the least flavor. You might think that a watery beer would be easier to drink, but in many cases, casual drinkers have a hard time with Coors Light. The ironic reason why – its not bitter. Part of what makes beer drinkable – ironically – is its slightly bitter taste. Much like spiciness in food, if the bitterness is too much, no one will like it, but a small amount will have people coming back for more. You take a sip – the hint of bitter flavor makes you thirsty – you take another sip – etc. This is how beer works, and this is why Coors Light does not work. Just to be different, the people at Miller like to spell the word “Light” their own way. Miller Lite describes itself as “True Pilsner Beer”. Remember the beer connoisseurs that I was talking about before? This statement makes them laugh. 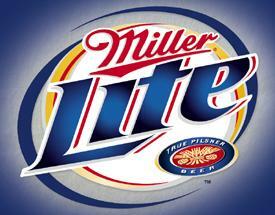 Miller Lite has more flavor than Coors Light, but so does everything else. Its flavor is more distinctive than most light beers, and most people have a love-hate relationship with it. Bud Light’s flavor is more ambiguous – drinkable but very similar to other light beers. Miller Lite is still fairly drinkable, but also easily identified. It all comes down to personal preference. So of these three, my top pick is Bud Light. It is cheap, drinkable, and refreshing. Which do you prefer? Post a comment! Love the new look for the blog. I have to agree with the Bud Light choice out of three major light beers. I would mark myself down as a 6 on the Jamie beer drinker scale. Natty Boh tastes too much like a ham sandwich…Boh Ice is where it’s at!